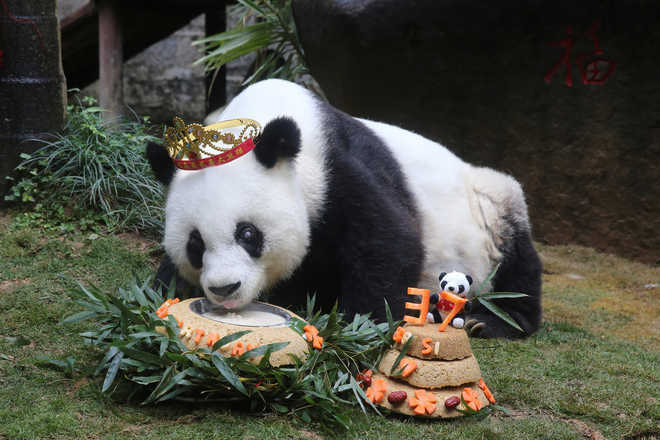 Basi, the panda who rose to fame as the prototype for Pan Pan, the mascot of the 11th Asian Games in Beijing in 1990, celebrated her 35th birthday － the equivalent of more than 100 human years － on Saturday at Fuzhou Panda World in Fuzhou, the capital of Fujian Province. 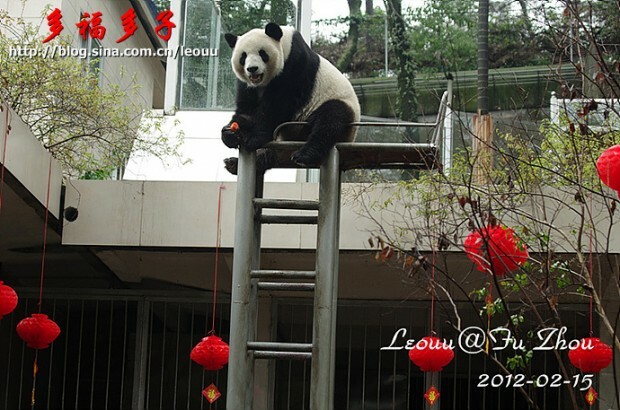 Fuzhou has been her home since 1985, one year after she was rescued from the wild. Among the gifts that Basi will receive from her human friends on the big day will be a cake, which will be easy for her to eat, since her teeth have rotted. Basi, born in the Basi valley of Baoxing county in Sichuan province in 1980, was saved by a villager from an icy river in 1984 as she fled a pursuing hyena. 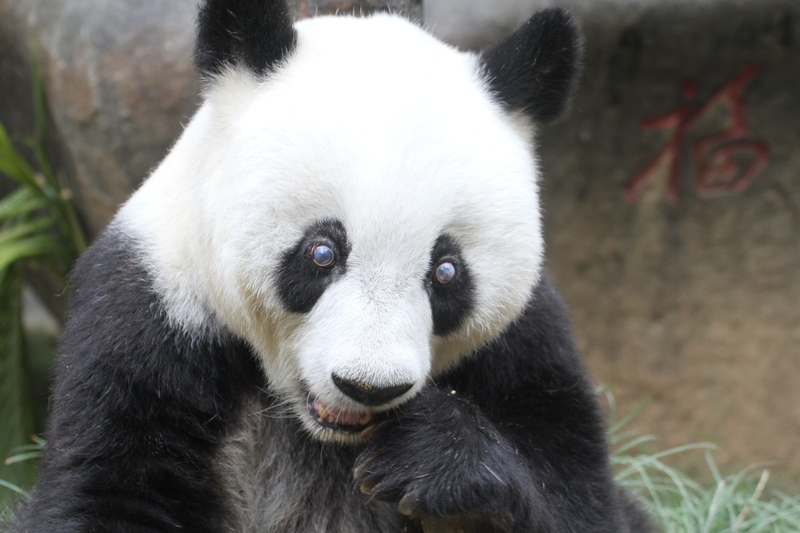 She was starving at the time, as that year bamboo, the staple food of pandas, was just blossoming. The villager, Li Xingyu, named her Basi. 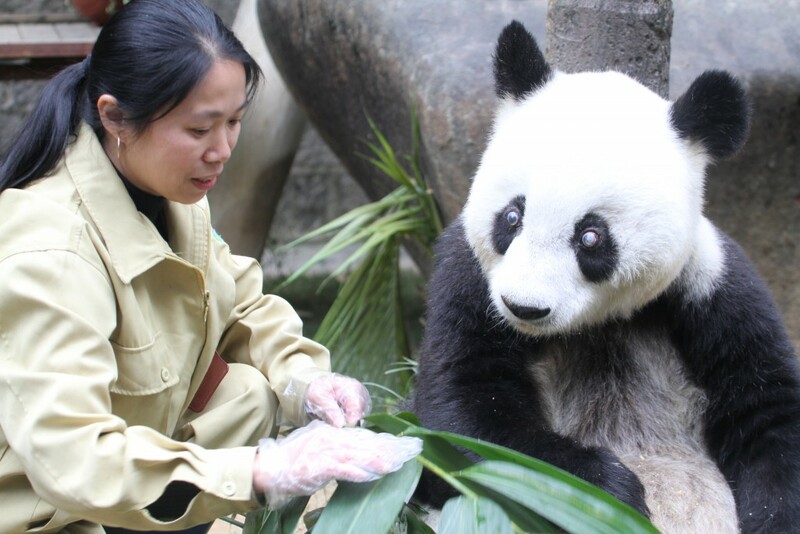 After first living in the Fengtongzhai Nature Reserve in Sichuan, Basi was sent to the Fuzhou Giant Panda Research Center in Fujian. At the Fuzhou center, she was trained to ride a bicycle, shoot a basket with a basketball and lift weights. In 1987, she stayed for 200 days at the San Diego Zoo, where her stunts fascinated countless visitors. 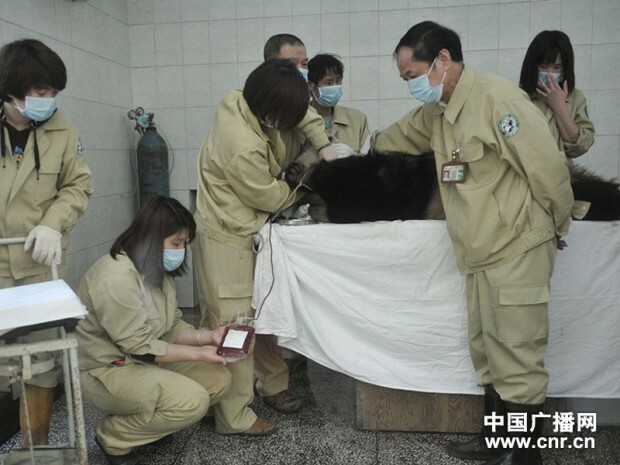 Her birthday party began at the Fuzhou Giant Panda Research Centre in Fujian yesterday after she finished her routine exercises and health check.